Each year the department awards degrees in Computer Science for the BS, MS, and PhD. 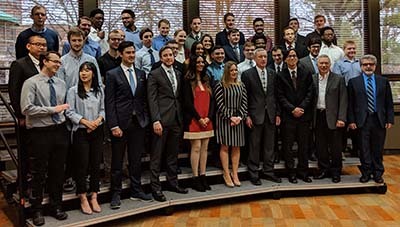 In addition, the Department administers an undergraduate Computer Engineering degree program jointly with the Department of Electrical and Computer Engineering. At the end of each semester our graduates are honored at a special breakfast held at the Kellogg Center. Pictures from this breakfast and ceremony can be found here.